On April 30th, C&I Studios will launch their new recording studio located at the East end of The Garden property at 516 NW 1st Avenue in Fort Lauderdale’s FAT Village. The studio prides itself on having all industry standard gear, microphones, and instruments; a collection of the best modern digital, and vintage analog styles of recording. Additionally, the studio is filled with a collection of analog, acoustic, and folk instruments that most musicians have never even heard of, much less seen in the same room. 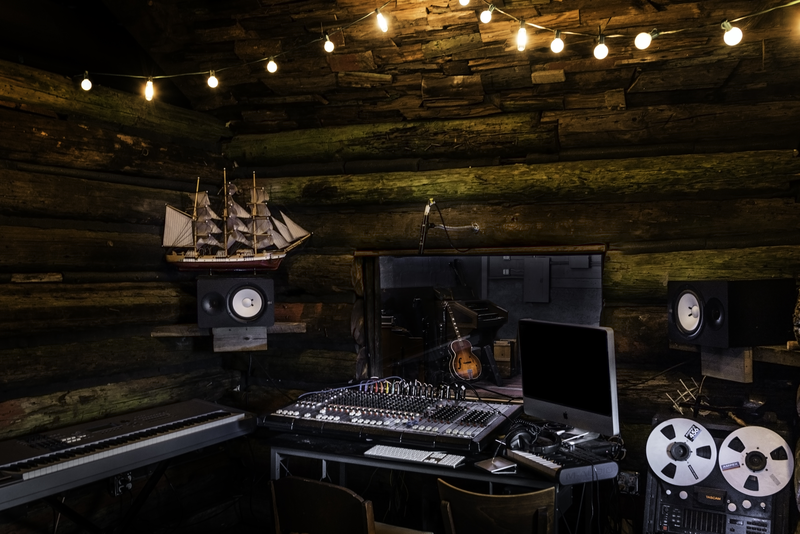 The recording studio, aptly named The Barn at C&I Studios, was designed over the last 4 months by the staff of C&I. Using reclaimed wood, one off antique fixtures and vintage furnishings, they have designed a welcoming space with an intimate log cabin feel. The 1,000 square foot space can easily support up to a 10-piece band and can be used to record or rehearse music. To reserve the space and inquire about rental rates, email contact@c-istudios.com. The launch event is by invitation only and will take place on April 30th at 8pm at The Barn; Black Tie attire is requested. Guests will enjoy open bar, coffee from Brew Next Door, and lite bites. Tours of the space will be available, as well as, demos by local musicians. The Barn is the newest venture of C&I Studios, a full service media production company with offices in downtown Fort Lauderdale, Washington DC, and Los Angeles. For more information on C&I Studios, visit www.c-istudios.com. To schedule an interview with C&I Studios or a tour of The Barn at C&I Studios, please contact Sara Shake of Exposed PR at 954.336.3275 or sara@xspdpr.com. C&I Studios is a full-service media company based in South Florida and Los Angeles. Providing film and video, graphic design, photography, and audio production, C&I Studios’ vision is to create inspiring art with exceptional quality to reach Humanity 2.0. A portion of each service sold benefits one of three international children’s organizations: SwaziChild.com, Camp Sonshine International, or Flutemaker Ministries. For more information, visit www.c-istudios.com.